Mario Ware is the Technology Manager for W2C, where he leads the strategy, architecture, implementation and operation of the organizations infrastructure and customer information services. Mario is a US Air Force veteran with 20 years of continuous service. 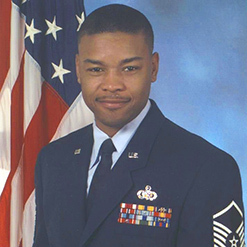 While he enlisted as an Electronics Switching Systems Specialist he went on to hold several managerial positions within the Air Force with experience in technology implementation, operation, migration and project management. Mario served as a Network Switching Systems Specialist in Operation Desert Storm, and was nominated as a “12 Outstanding Airman” nominee for his exceptional performance. He culminated his military career as NCOIC at HQ Electronic Systems Center at Hanscom AFB, Mass responsible for acquiring critical warfighting systems for the Air Force and our sister services. These systems provide the connectivity for and between our warfighters with items such as radar, communication and intelligence systems, command and operations centers and network infrastructure and cyber defense.